NASA Earth Observatory features a piece on the recent Mammerickx Microplate discovery. 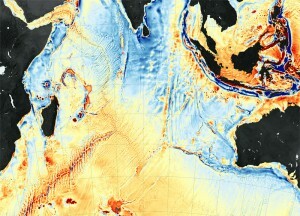 Their Image of the Day for 13 January 2016 is a satellite gravity map of the Indian Ocean, and the associated article, entitled ‘New Seafloor Map Helps Scientists Find New Features‘, discusses the power of satellite data for seafloor mapping and details the findings of the recent publication by Matthews et al. (2016).